There are some people in this world who force you to ponder your existence. Their mere presence requires you to think about purpose and the intimate details of your life. I met one of those people during summer 2015, when I attended a Kenyon Review workshop in Gambier, Ohio. One of the co-instructors, Gretchen E. Henderson, lit up the room with her attentive heart, her vigorous spirit, and her compassion for the women artists in that particular “Art of Text” workshop. This had been her third co-instructed summer workshop with Ellen Sheffield. And what an inspiring summer it was with these two amazing instructors and a room full of Women Artisans! I should begin with Gretchen’s occupational identity. Her words delighted me: “I am weary of classifications in general. I tend to call myself a writer who works in the medium of language.” She is a writer, scholar, and artist who plays with the structure of language both on and off paper. She and Ellen encouraged me to rethink how stories are told, especially in the publishing world. Dr. Gretchen Henderson tells her students to call her by her first name. She does not focus her energy on titles, but when you speak to her you know the genuine spirit from which she comes. What she calls “rambling babble,” I call “passionate brilliance.” In our conversation she described her “detouring path,” her early experience teaching high school, starting an interdisciplinary program, enacting experiential education, and then realizing the necessity to change. She took night classes in creative writing, then pursued graduate degrees, and now has been teaching at various universities for over a decade. I myself entered the graduate world for familial reasons steeped in a different sort of exploration that focused on worth, but Gretchen responded to a burning curiosity that explores a variety of intersecting disciplines – writing, history, art, music – to name a few. This, I believe is one of the reasons why storytelling and voice are so important to Gretchen. With her background as a musician, she explained that narrative and voice intertwine “like sound and silence, positive and negative space, where each comes into focus through relief and being present to each other.” She describes the Japanese concept of wabi-sabi, for instance, a term indicating beauty but whose connotations span the withered, weathered, crooked, aged, and ephemeral – qualities that might be deemed ugly or unwanted. Gretchen spent the past few years writing a book on Ugliness, exploring cultural histories and values, where art and aesthetics entangle with social preferences and practices. This transitioned into the idea of what it means to forgive. “Over time, our bodies accumulate lived experiences: injury, aging, everything that we do. Our bodies can become static, but water and breathing keep things lubricated and moving. The same might be said of our ecosystems. Our bodies are heavily composed of water – after all, we evolved from fish – and much of the planet is water. Water embodies a kind of interdependence.” She explained that the two words “For + Giving” speak to a gift economy. The notion that water is a gift and gives us life speaks to our internal and external development. Wherever Gretchen has lived, she takes regular walks to be near water – whether a river, a creek, a bay, an ocean. She said, “There are all of these incredible qualities that water takes on, absorbing and reflecting light, shifting colors and movements, sometimes calm or windswept. There’s this fundamental property of motion. Water is so much bigger than we are, so at times it can be healing but other times volatile, for instance in storms or tides.” Water reminds her that humans are a small and humble part of this planet. So when looking at the word “forgiving” – or, as she pointed out, the two words “For Giving” – water speaks of being flexible and compassionate, aware of and present to the world that we collectively inhabit. My own bodily experiences helped me relate to her final comments – an “out of box” philosophy and approach to teaching that allows people to move past their personal limitations – whatever those limitations may be. She connected this to the nature of “productive failure.” We can all agree that failure happens, right? But failure does not have to be terrible. I have learned that the greatest successes sometimes come from catastrophic failures. Gretchen thoughtfully shared, “I think people learn most from their failures. There’s something about learning these limits – how to be flexible around circumstances. When we fail, or when our institutions or our bodies or something else seems to fail us, we learn that we are capable of a lot more than we think we are.” We learn standards to understand how and why they came to be, but when they don’t work, we can learn how to re-imagine our limits or even how to effectively break the rules. This process of engagement produces, what she calls, critical makers. This critical making can extend to anything that we do. I believe that is the phase I am walking in – to embrace productive failure so I can wake into a new possibility for myself as a person and artist. Gretchen shared that one of her favorite expressions in Spanish is ¿Cómo amaneciste?, which essentially means, “How did you dawn?” This focus on wakefulness turns upside down the English expression, “How did you sleep?” How can I wake to be the artist and person I am called to be? To be fluid as water? To stretch my limitations and learn what it truly means to give as an artist? To give of oneself for giving’s sake? To Gretchen E. Henderson, I am grateful for her giving heart. Inspired by Gretchen’s story? In what area of your life do you need to surrender? Embrace and accept productive failure? Become a critical maker? Forgive? Share in the comments. Traci Currie is a Communication and Visual Arts lecturer at University of Michigan-Flint, as well as a knit-crochet artist, writer, and spoken word performer. 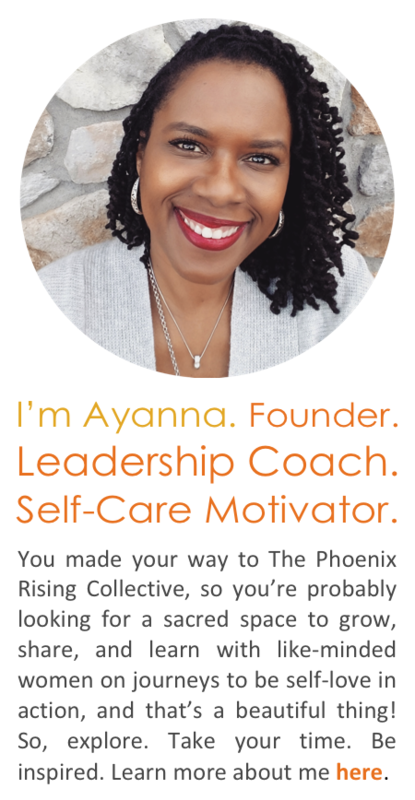 She has been a part of the art world for over 15 years as an art gallery board member; spoken word series organizer; performer, nationally and internationally; and published poet. She believes The PRC will help women reach their highest potential. 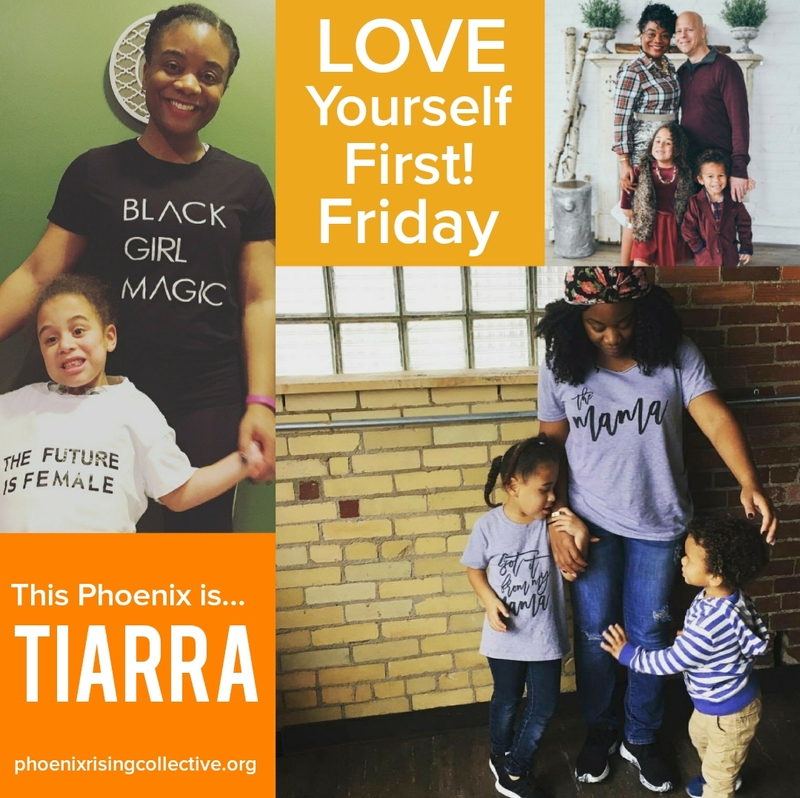 “The Phoenix Rising Collective is about empowering women to take ownership of their lives, claim their identities and be the positive change they wish to see in the world they live.” Read more Artists Features. 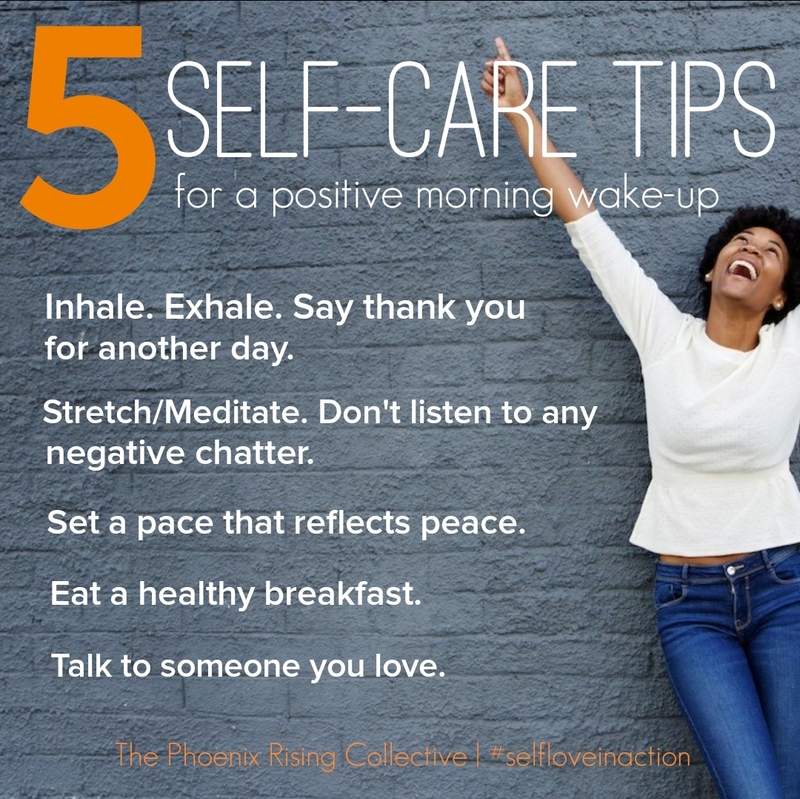 Categories: Self-Care + Personal Growth | Tags: Gretchen E. Henderson, self-acceptance, self-love, The Kenyon Review, the phoenix rising collective, women artists, women creatives | Permalink.